Much has changed in the past few years when it comes to SEO. If your website is an old one, then you may have many links pointing to your website. It is very important to have a clear understanding of your link profile as this gives a view of whether you are on the right track or not. Getting quality backlinks to your site is actually a great means to raise the ranking of your page and of course gain more visibility in the search results. Since Google rewards links of high quality over quantity, conducting a backlink check is important. The mantra for successful endeavor is to use a backlink checker that is specifically designed to offer the website owners or webmasters with the facility to know about the quality of links on the website. When you use the backlink checker, you can check the links source or the page where the link is placed on your website or page. Once you click on the link, the page will open in a new window or tab. This is one of the most popular tools that gives you a lot of information about the URL that you enter. It also includes the backlinks that point to the site. With this tool you can easily track multiple competitor’s site and also gain comprehensive information about the links. The tool offers great details related to backlinks and with time, you can also check how the site links are increasing or decreasing. This is a favorite among the online marketing professionals as it helps you to track your backlinks and also the keywords. It enables you to take an inside look at what your competitors are doing. 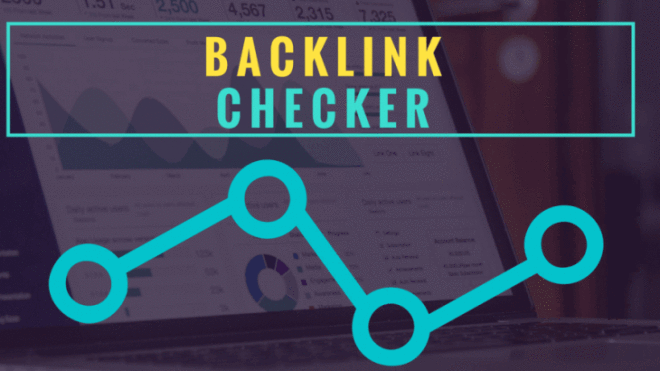 The quality of the data that this backlink checker provides is great and you don’t have to worry about the accuracy of the information. This is a great tool from Moz, a search marketing giant. It helps you to check the number of links for the site and also information like the latest and fresh links, the spam score, domain authority and also the page authority. The paid account allows you to run unlimited reports, track the links over time and etc. This is part of the webmaster tools provided by the search giant. You can check the Links to your site under the Search Traffic. The total links can be seen in your site and also the anchor text that is used and the sites that link to you the most. It offers up to date information right from the source. It provides a wide range of internet marketing tools that can help website owners to push their business forward. The tool offers a simple means to check the backlinks that include real time data, historical information and much more. By using this tool, you can examine information based on NoFollow vs DoFollow, Link velocity, a breakdown of each link that includes domain and link influence. This tool provides you with various options to check the backlinks for the blog. The free tool helps you to get a detailed report where you can check backlinks for a single page or the entire website. It also offers various other outputs and features.